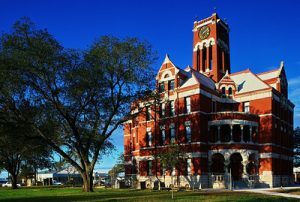 The beautiful Lee County courthouse, designed in 1899, the Fletcher-Schubert House Museum, and more than 30 restaurants are excellent reasons to make a stop in Giddings. Giddings and the Lee County area provide all the benefits of a small community, while also having easy access to all of the major population centers in the state. The good country values and commitment to the community are characteristic of the people of this area. The combination of these characteristics and the central location on the major transportation routes between Houston, Austin, Dallas/Fort Worth, and San Antonio produce the perfect blend of good business opportunity and quality family living.